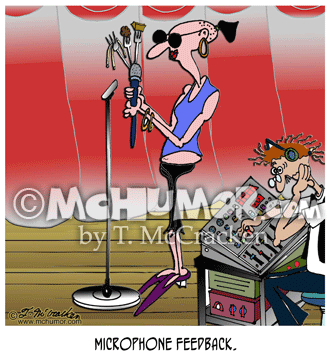 Music Cartoon 7935: Microphones have forks with food on them: "Microphone Feedback." 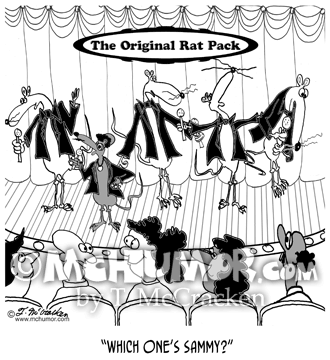 Music Cartoon 8294: "The Rat Pack." 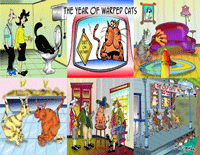 Four white rats in tuxedos are on a stage. A fifth is black with an Afro and gold chains. Someone in the audience asks, "Which one's Sammy?" 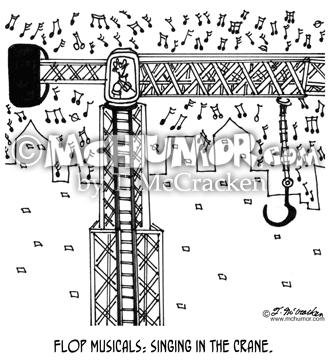 Musical Cartoon 6324: "Flop Musicals: Singing in the Crane." Gene Kelley singing in a construction crane. 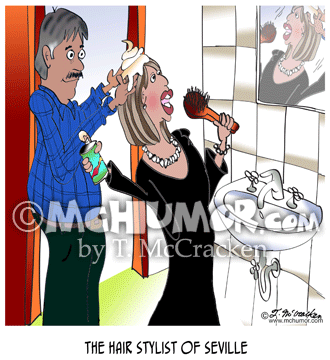 Hair Cartoon 8576: “The Hair Stylist of Seville." A woman sings into a hair brush while a man works on her hair. 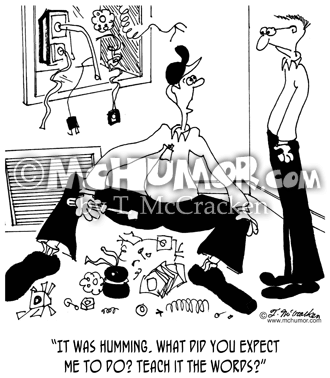 HVAC Cartoon 7557: An HVAC repairman surrounded by parts and a dismantled air conditioner says, "It was humming. What did you expect me to do? 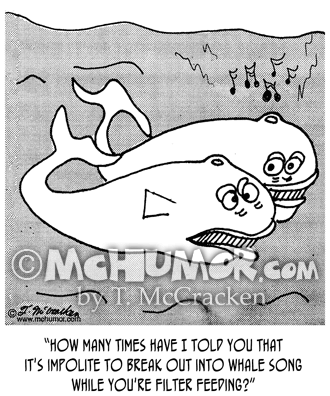 Teach it the words?"